(TibetanReview.net, Jul28, 2018) – US President Donald Trump has trumped China’s move to make common cause with the European Union in its ongoing trade war with Washington. While having the most closed market among the major economies of the world, China has sought to present itself as the crusader for free trade and asked the EU to join it in its fight against Trump’s punishing tariffs which if fully implemented is acknowledged as leading to many Chinese companies going bankrupt. 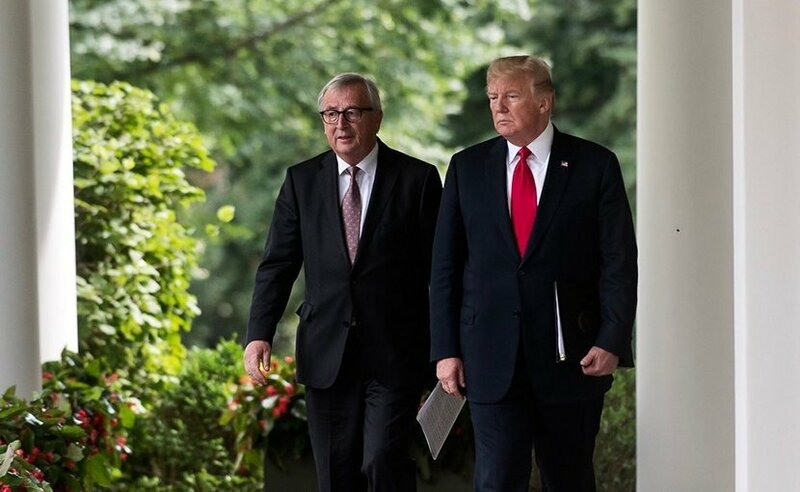 Emerging from a meeting with the European Commission president Jean-Claude Juncker, Trump said the United States and Europe will work together to “address unfair trading practices,” including “forced technology transfer,” “theft of intellectual property” and “overcapacity”, reported finance.yahoo.com Jul 26. These are longstanding common grievances of the US and Europe towards China. Neither man mentioned China, but that’s exactly who they were talking about, the report said. The report noted that virtually all advanced nations had the same complaints about China: It forces foreign firms to turn over key technology as a condition of doing business in the country. It copies or steals trade secrets belonging to foreign firms. And it subsidizes giant companies that produce steel, aluminum and other commodities, allowing them to undercut foreign rivals on price, gobble up market share and drive foreign competition out of business. While Europe has not been able to do much about it, Trump has tried to address those problems, mostly by slapping tariffs on Chinese imports and insisting that China reduce its trade surplus with the United States. Most trade experts have been cited a saying that won’t work. But joining with allies and pressuring China together could work, they were said to add. And that is what Trump appears to have set out to do with his meeting with the European Commission president.